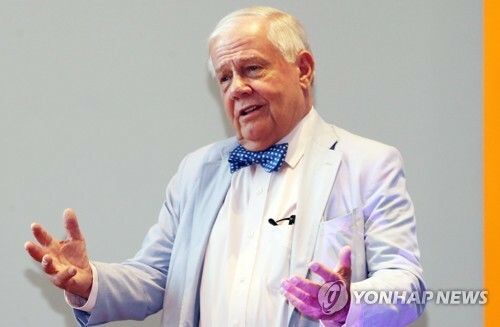 SEOUL, Feb. 12 (Yonhap) -- Former Seoul Mayor Oh Se-hoon said Tuesday he will run in the main opposition Liberty Korea Party (LKP)'s leadership election late this month, abandoning his earlier pledge to boycott the event. Oh was among six candidates who announced last week that they would not register their candidacy Tuesday in protest of the conservative party's rejection of their demand to postpone the election slated for Feb. 27 at least by two weeks. 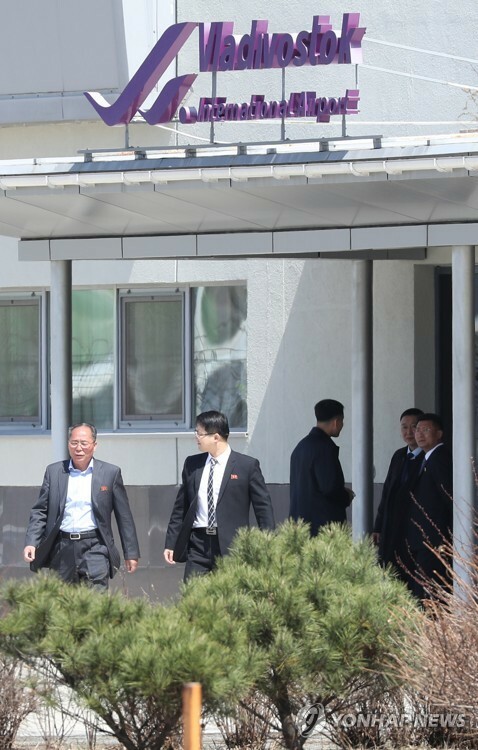 They called on the party to postpone the election to avoid a clash with the summit between U.S. President Donald Trump and North Korean leader Kim Jong-un to be held from Feb. 27-28 in Hanoi. The party reviewed a possible delay twice, but decided to hold the election as scheduled. Oh is widely expected to compete against his main rival, Hwang Kyo-ahn, prime minister under President Park Geun-hye who was ousted over a corruption scandal. 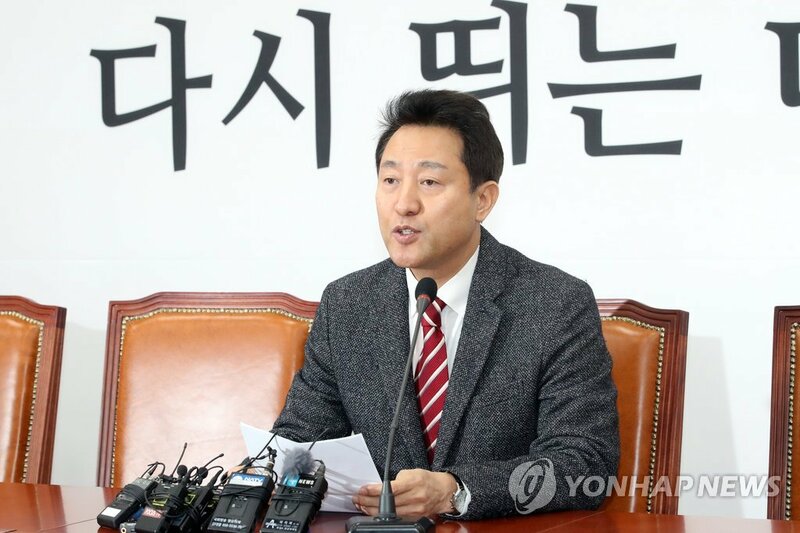 "I've decided to run in the election to prevent the LKP from becoming a party that only caters to specific regions and ideologies, not a party that serves the people," Oh told a press briefing before registering his candidacy. "I will (make efforts) to prevent the party's return to the past and lead the party toward the future," he added. Oh's announcement came as the LKP is stung by a political storm that was caused by three of its lawmakers making controversial remarks disparaging a 1980 pro-democracy uprising. The upcoming election is a key event for the LKP ahead of the 2020 parliamentary elections. But internal strife surrounding the election date postponement and the recent political crisis have dented the party that struggles to muster support from conservative voters. 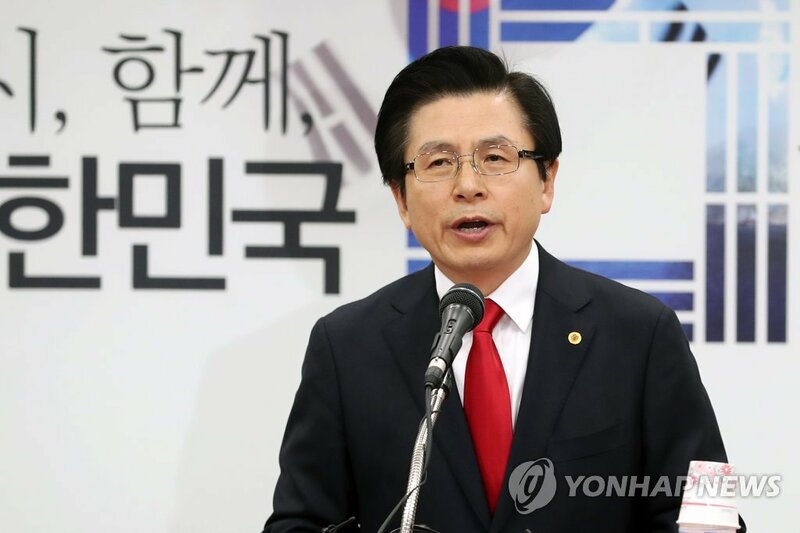 Hong Joon-pyo, former LKP chairman and another big-name candidate, announced Monday he will give up his election bid. 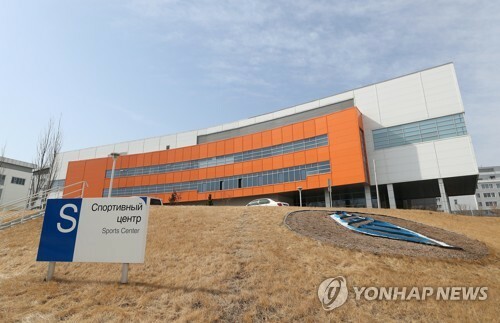 Originally, eight candidates announced their bids, but four, including Hong, have said that they will not run in the election for a new leader who will replace incumbent Kim Byong-joon. Hwang is viewed by conservative voters as one of the most favorable candidates for the 2022 presidential election, opinion polls showed. 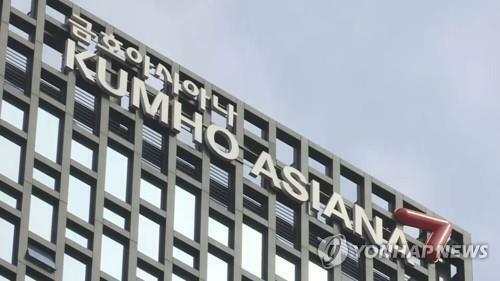 Still, he faces stigma for his close affiliation with former President Park, who was ousted in March 2017 due to a massive corruption scandal. Hwang served as acting president when Park was suspended from office by parliamentary impeachment in late 2016. The LKP is still stung by the fallout from Park's ouster. Once viewed as a moderate politician in the conservative bloc, Oh had largely stayed away from the political scene since he stepped down as Seoul mayor in 2011 over a row about free school lunches. Does N.K. turn to &apos;pendulum diplomacy&apos; between China and Russia?